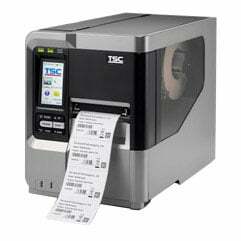 TSC’s high-performance MX240 series printer has won the prestigious INDUSTRIEPREIS 2015 “Best of 2015” award in the category of Intralogistics & Production Management. INDUSTRIEPREIS each year honors those companies supplying the marketplace with the the most innovative products and solutions. The awards are given in 14 categories, ranging from the automotive industry to component suppliers. A panel of independent experts that includes professors, scientists, industry experts and specialized journalists chooses the winners. Products and solutions are evaluated based on innovation, production readiness, benefits (e.g. increased profitability and efficiency), value, practicability, ease of implementation and other criteria. « Is ID Card Software Specific to a Printer?